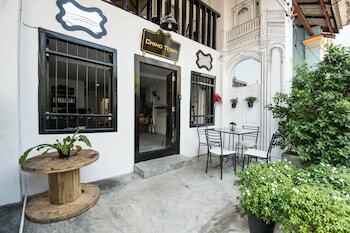 With a stay at Chino Town Gallery Guesthouse in Phuket, you'll be within a 10-minute walk of Thalang Road and Chinpracha House. Featured amenities include dry cleaning/laundry services and luggage storage. When you stay at Green Home Resort in Surat Thani, you'll be near the airport and within a 5-minute drive of Thaksin Hospital. Located in Ko Lanta, Lanta Paradise Beach Resort is a 1-minute drive from Klong Nin Beach and 6 minutes from Khlong Toab Beach. A ferry terminal shuttle is provided at no charge. When you stay at Phuchawee Lanta Villa in Ko Lanta, you'll be near the beach, within a 10-minute walk of Ba Kan Tiang Beach and Ba Kan Tieng Bay. The front desk is staffed during limited hours. With a stay at ZEN Premium Bumrungraj Soi 2 in Chiang Mai, you'll be within a 15-minute drive of Chiang Mai City Arts & Cultural Center and Wat Chiang Man. Free self parking is available onsite. With a stay at Ban Aothong Hotel in Trang, you'll be within a 15-minute walk of Trang Clock Tower and Wat Tantayapirom Phra Aram Luang. Located in Pattaya, The Collection Residence is a 1-minute drive from Jomtien Beach and 6 minutes from Dongtan Beach. The front desk is staffed during limited hours.